If you are looking for a jump start to a career, or need a very well-known and experienced photographer, Please click on the Modeling Submission Form above! New York based photographer Xander Angeles is one of the most sought-after creative talents for fashion and advertising despite his young age. He is fresh, spontaneous, and original. Many of the most striking images that continue to haunt are only a fraction of the countless photographs born of a fertile imagination and an undying thirst for the new. Take any subject – from the mundane to magnificent, spontaneous to structured, raw to glamorous, whether it’s architecture, fashion or beauty – he will make it new and interesting and exciting. Born in Manila, and a graduate of Fine Arts from the University of Santo Tomas, Angeles started taking pictures professionally right after college. He had already done numerous projects in the advertising and corporate fields. But it was not until a year later, with the acquisition of his first medium format camera (which he continues to use to this day), that his infallible work ethic and sheer talent, along with a collaboration of trusted and talented people, that the door to success opened for him. Then again, what separates Angeles from other photographers is that with him, there is always collaboration. His vision is so certain that he can entertain suggestions from other people without compromising his own ideas. This sense of self has helped him remain successful and outstanding in an industry that has a high turnover rate. -exclusive photographer chosen to shoot FHM’s 2002, 2003, 2004, 2005 and 2006 calendars. -shot the ad campaigns for Redken, Smart, Ponds, Sunsilk and many more. -has done an exhibit featuring 100 images of actress Aubrey Miles. -Successfully launched his first-ever coffee table book called THE X BOOK, last June 2004 at The Fort. -In 2004, AMERICAN PHOTO MAGAZINE selected him as their Featured Grand Winner for their Glamour and Beauty category, out of about two thousand images from around the world. -In 2005 DIGITAL PHOTOGRAPHER Ukraine Edition run a 13-page article about him and featured 20 of his stunning images. 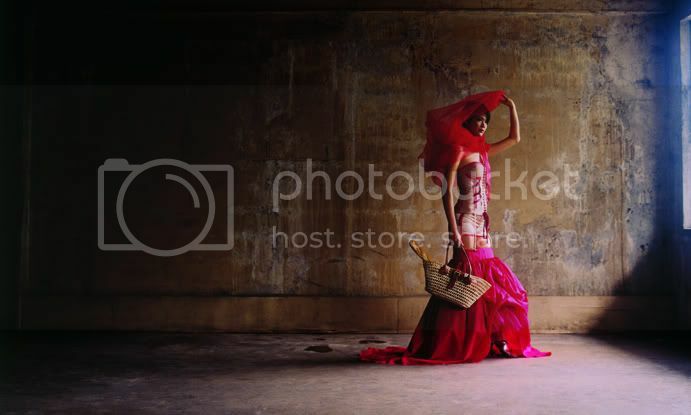 -Named by FASHION PHOTOGRAPHER of the YEAR by MTV PILPINAS STYLE AWARDS. -In the first quarter of 2007, was one of the panel of Judges in the new TV show PHILIPPINES NEXT TOP MODEL . Thanks for the Friend Request !! Thank you for the FR! Beautiful port! Thanks for the Friend Request--very happy to comply. Wonderful work here--a genuine pleasure to look through your portfolio.